Often, we face a scenario wherein we cannot access few websites from our work-places, schools, colleges etc. Sometimes few websites will be blocked by our ISP or sometimes it may be a case in which the country blocked the website because of some restrictions. There are many workaround methods using which you can access such blocked websites. Below we listed some top notch methods to access blocked websites from any place. Note: We are not responsible for any kind of misuse of the below tutorial. We are just sharing the knowledge over here. Let us discuss all the methods i.e., from easier methods to harder ones. So, as the domain is unverified with SSL installation, it will show up a security notice with the options as Proceed anyway or Back to Safety. Here, you have to select the option Proceed Anyway, then you will get an entry ticket to the site. 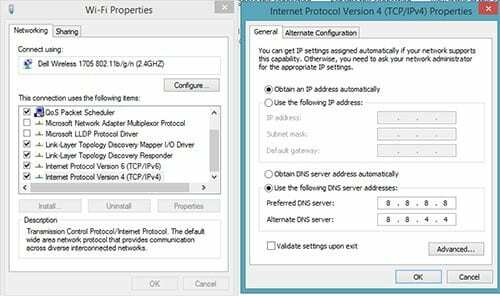 In this method you have to change or replace the DNS server to get access over the blocked websites. Say, DNS server is the container which contains all the information regarding all the sites from the entire world. So, if any country blocks any website IP from their Country IPs, they block it in their own DNS server. 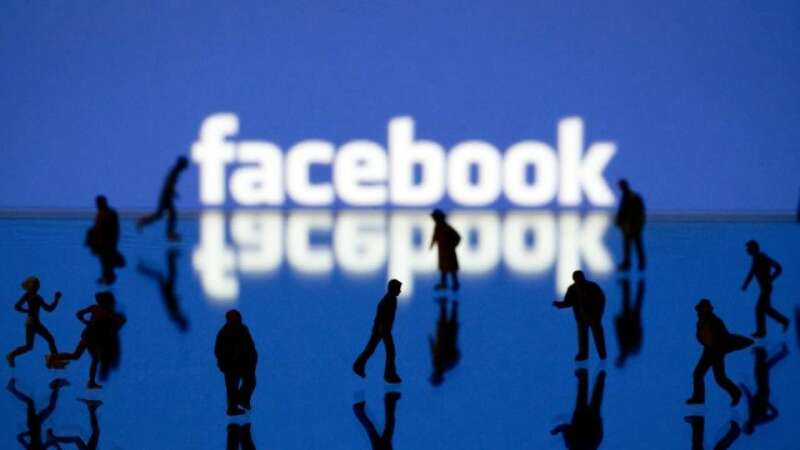 Whoever uses those particular DNS servers will not be able to access the blocked websites. MNC Companies, Schools, Colleges generally use this method to block the sites. To bypass this situation we have a simple trick. These methods slightly vary for different users. Just follow the steps below. Follow the Step 5 instruction given above in properties. For Windows Vista and 7, go to Start > Control Panel > Network and Internet > Network and Sharing Center. If you’re using Windows 8, hit Windows key + C > click Search on the right-hand side > type Control Panel in the search bar > select Control Panel > Network and Internet > Network and Sharing Center. Right-click the Internet connection (MTNL, Airtel, BSNL, etc.) on which you’re having trouble accessing websites, and click Properties. Click the radio button next to Use the following DNS Server address. If you want to use Google DNS, enter 8.8.8.8 as the Preferred DNS Server and 8.8.4.4 as the Alternate DNS Server. Tap DNS and change the two values to Google DNS or Open DNS (explained in step 5 above). These two values should be separated by a comma and one space (8.8.8.8, 8.8.4.4). Click the radio button next to Use the following DNS Server address. If you want to use Google DNS, enter 8.8.8.8 as the Preferred DNS Server and 8.8.4.4 as the Alternate DNS Server. If you want to use OpenDNS, use 202.67.220.220 and 202.67.222.222 respectively. After entering these, click OK.
Another smart method to get access to blocked sites is by simply using IP instead of using URL. In a local computer, doing a ping domain.com command in command prompt will return you the IP address. You can also find it via online with the search of Whatsmyip. If you are a MAC user then use Terminal. So, enter through the Internet Protocol Address rather than using URL. This method works sometimes and sometimes it doesn’t. The idea here is to convert the long url into short url. 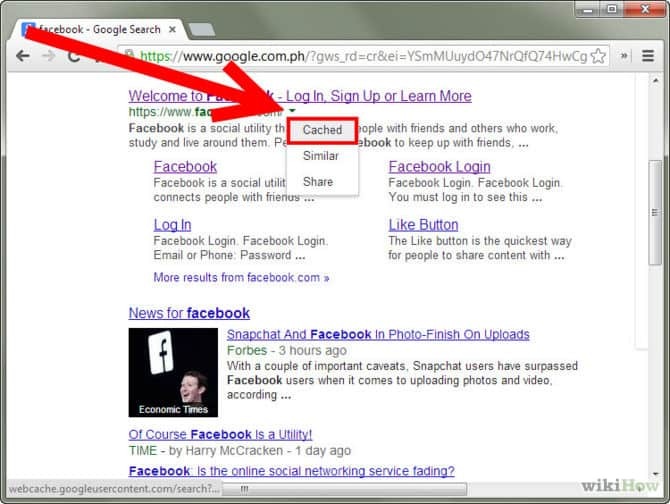 By using google short urls and other tools we can shorten the url of the main site and can get access through that short url. Every site will have a cached version. In the same way, the blocked sites will also have the cached version. So, you can access the data of the blocked site with this Google Cached version. When you search for any site which is blocked, Search engine automatically shows you cached version. When you click on that you will be redirected to the site. Irrespective of whether the site is live or not, you can get access with the help of this method. The picture below will give a better understanding. Google Translate a very good best tool, in which you can convert text from required language input to required language output. All languages are supported with this tool. By using this method also we can get access to the blocked content or sites. Before entering the URL of the site of your choice, choose the page language as any language except English and the translated language as English. The blocked site will be visible in English. This is a very simple tweak to get the access. In this method, we use additional proxy layer. Sometimes these methods may not work if your ISP is very smart. If that is the scenario, then we have another trick to access the blocked sites. Note: Before using this trick, I would like to warn you that as you are going to use Proxy IPs, do not provide sensitive information over proxyfied line and if you do, do it at your own risk. Now let’s get started. There are many sites which provide Proxy IP and Port List for free of cost, like HideMyAss Proxy List, etc. 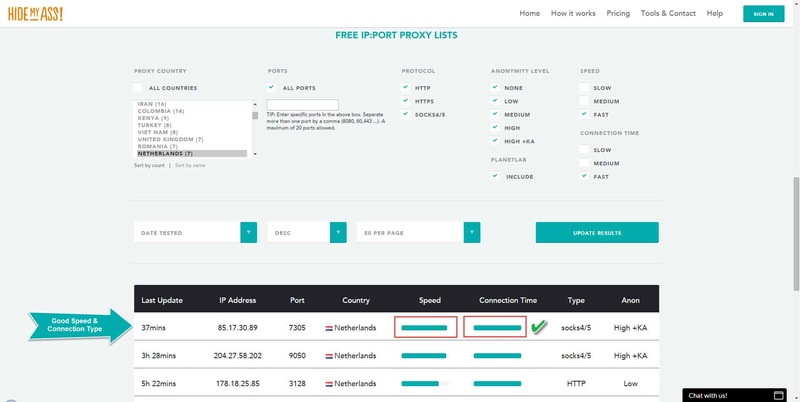 Visit any of these sites and grab one Proxy IP: Port combination which has good speed and fast connection type – as shown in the screenshot below. After you get one Proxy IP- Port combination, use the following procedure to add it in popular browsers like Google Chrome & Firefox. This is a well-known tool for bloggers. We shall introduce this to the common users now. In general, we use this tool to recover the lost data from our site. If we lose any backup of our site, this internet archive is used as a backup and gives the data of our site. In this way, we can get the access to the blocked site or content through online. If the blocked website has an RSS feed, you can still view the blocked pages using an RSS reader. All you have to do is add the RSS feed to the reader. If your favorite blocked website does not have an RSS feed, you can simply create an RSS feed for it using a service similar to Page2RSS. You just have to enter the URL into the box to generate an RSS feed for it, then add it to your reader. You can check the full list of best proxy site – click here or more list of proxy site here. These are the best 10 methods to get access to the blocked content or sites. If you know any other methods do comment below. Next time, when you need to access a website from another country and find out you’re blocked from accessing it, try any of these methods and see which one works best and most conveniently for you and do share your experience with us. How to Check if an Image is Photoshopped or Not ? How to Protect Google Chrome Browser with Password? With Hide My IP, all your Internet surfing is secured with strong SSL encryption – they use Elite Proxies that are totally anonymous; your real IP address nor any other information about your computer is forwarded to the destination website. thanks your suggestion helped to me how to unblock websites. I have been searching in Google since 2months regarding how to access blocked sites in my office. I found the answer now. Thanks for sharing this article. I’d advise using less known or new vpn as its ip is less likely to get reported or blocked. I’ve just switched my provider myself for exactly that reason. I was picking between surfshark, spuoff and lantern. Had to go with the first one because it seemed more trustworthy as per their policies, had no leaks whatsoever and gave me access to all needed services and websites. I use nordvpn for accessing geo-restricted content, it’s easy to use and is more practical than other options, I think. Their app doesn’t cost much, and at the same time it secures the data in your computer. That is an excellent blog you have here, a lot of useful content. By the way, if talking about geo-restrictions recently came across this new VPN provider called surfshark VPN, and what caught my attention is unlimited devices support. Don’t hesitate to give it a try since it has a 30-day money-back guarantee.